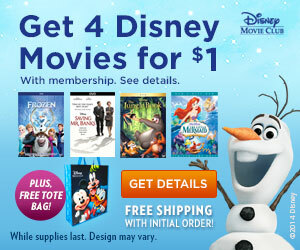 7 Kids and Us: Get 4 Disney Movies for $1!! PLUS FREE SHIPPING! Check this out! 4 Disney movies for a buck, and free shipping! Click the pic above for more details. Great for the Holidays!